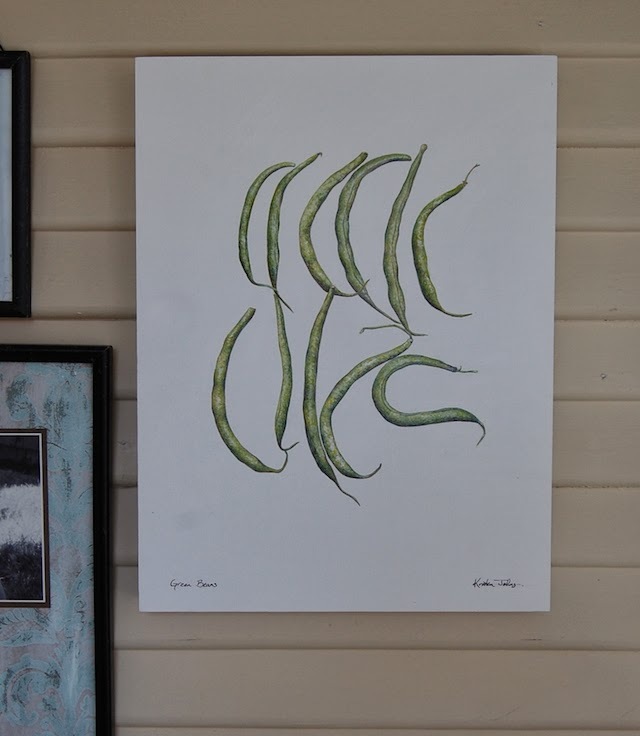 I've been missing these green beans that are no longer growing in my back yard. I painted them in the summer and I loved capturing those curling tips as much as I did steaming them up for dinner. Thankfully we still have a few in the freezer :) Lovely painting! I saw this and thought it would be wonderful on a calendar! have you ever thought about doing something like that?